By owning the best standby generator or portable generator for your home or business, you prevent extended power outages from interrupting daily life and operations. For a home, losing power will result in the HVAC system, sump pump and appliances shutting down. 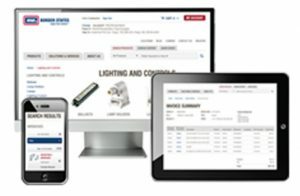 Businesses that lose power risk experiencing costly downtime. When natural disasters such as hurricanes, tornadoes, blizzards and thunderstorms hit, you’re at risk of losing power for an extended period of time. 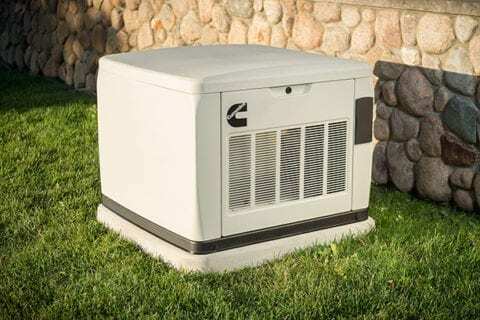 This blog post distinguishes portable and standby generators and explains how you can use them to keep the power flowing. Portable generators, an immediate, manual and temporary solution powered by gasoline, are typically used for garages, sheds, tailgating, parties and emergency backup power for appliances. They can typically plug into a home’s electrical system to avoid having to run extension cords everywhere. Feature an air- or liquid-cooled engine. When it comes to using a portable generator, just wheel it out, fill it with gasoline and turn the key (or pull the starter cord). Unlike the portable generator, a standby generator (also called the whole house standby generator) is an automatic, permanently installed backup power solution capable of providing uninterrupted power for days. This is because it’s directly connected to an electrical panel and powered by an external fuel supply, such as natural gas, liquid propane or diesel. A more expensive option, standby generators can comfortably power an entire home. They can also power large parts of a business, depending on how much power that business uses. Standby generators monitor voltage 24/7. An automatic transfer switch disconnects you from your utility power after sensing an interruption in service, starting up the generator before transferring power to the electrical panel. Prevent frozen and bursting pipes by keeping your hot water heater running. Avoid costly sump pump clean-ups and spoiled food. Deter theft by staying at home during outages. No need for expensive hotel stays. Maintain water flow on properties with private wells. Be protected from surges when power returns. Access potential insurance discounts, due to the reduced probability of theft. Some standby generator models will even deliver a power outage report, showing when they kicked on, how long they were used and when external power was reconnected. Backup generators allow you to remain productive and comfortable, no matter what storms life brings. NOTE: Regardless of which generator you use, after 24 to 48 hours of continuous use, we suggest getting it serviced. Click here to learn about safety measures you can take with your backup generator. For more information on portable and standby generators, contact Elliot Dahl, Border States Industrial Market Associate by emailing edahl@borderstates.com or calling (701) 297-4725.